Crista Luedtke is chef/owner at boon eat + drink and proprietor of boon hotel + spa. She learned the art of cooking through her incredibly talented mother and her skills in restaurant/hospitality management in her formative years. She is passionate about seasonal ingredients and uses her garden at boon to inspire her menu. 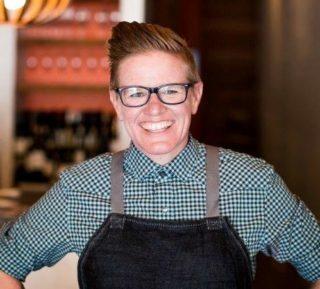 After being crowned triple grand champion on Guy’s Grocery Games, she is sitting as a culinary judge and working on a new TV series.